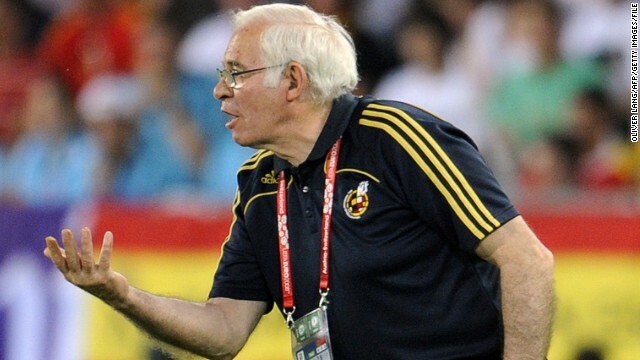 Luis Aragones gestures during his finest moment as Spain's national football coach -- victory over Germany in the final of Euro 2008. Aragones took charge in 2004, with his first match against Venezuela, and overhauled the team's playing style after a last-16 exit at the 2006 World Cup. Adopting the "tiki taka" passing style of dominant Spanish club side Barcelona, he took the national team to its first major title since 1964. Aragones then stepped aside and was succeeded by Vicente del Bosque, who guided Spain to the 2010 World Cup title and a 2012 European defense. Aragones joined Fenerbahce but left the Turkish club in 2009 -- his final coaching job. He subsequently suffered ill health and one of his final public appearances was at an awards ceremony in his home city of Madrid in November 2013. Aragones made his name at Atletico Madrid as both player and coach but also briefly coached Barcelona in the 1980s -- and the Catalan team paid tribute on the day of his death at the age of 75 on February 1, 2014. 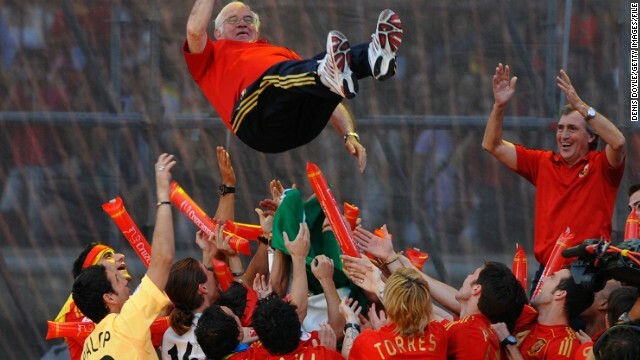 (CNN) -- Affectionately known in his home city of Madrid as "the wise man of Hortaleza," Luis Aragones left the legacy of helping Spain's ascension to the top of world football. 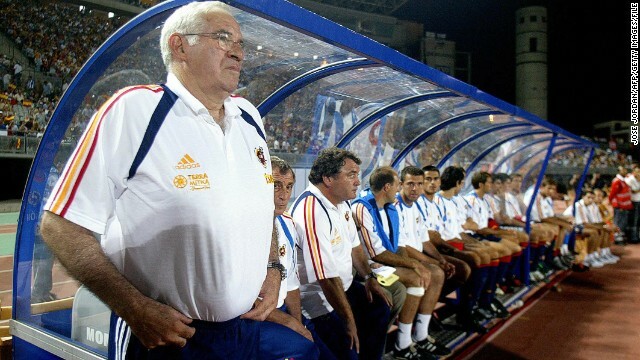 Aragones, whose death at the age of 75 was announced Saturday, coached his national side to the European Championship title in 2008 -- the country's first success at a major tournament in more than 40 years. That breakthrough was continued by his successor Vicente del Bosque, who continued with the "tiki taka" passing style Aragones introduced, as "La Roja" won the 2010 World Cup and the 2012 European crown. "Without a doubt, he marked the road in this final successful phase. I felt a great deal of appreciation towards him," Del Bosque told the national team's official website. "I knew he had some health problems, but I never imagined it would lead to this." "Always with us, Luis," led the website tribute of Atletico Madrid, the club where Aragones played for a decade between 1964-74 and was head coach on four occasions, most recently 2001-03. He guided Atletico to the La Liga title in 1977 and the Spanish Cup on three occasions. "Luis Aragones was a great player and coach, but before all that a great person and a friend," said the team's president Enrique Cerezo. "First and foremost he was Atletico. We want to express on behalf of the whole club our condolences to his family." 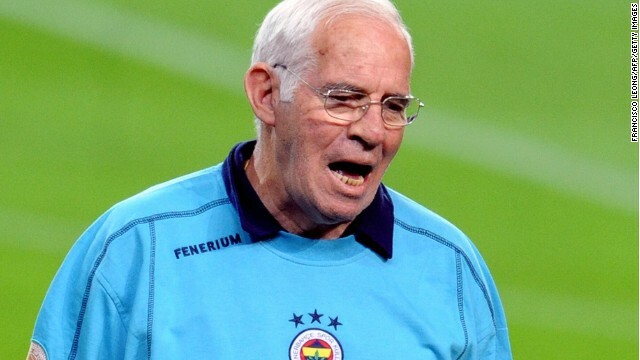 Aragones' final coaching job was with Turkish side Fenerbahce, which ended in mid-2009, and late last year he announced his retirement from the game -- in which he started out at Getafe in 1957. He was reportedly taken to a Madrid hospital last week with a serious illness, from which he did not recover. Aragones will be buried at a private ceremony on Sunday. Atletico will observe a minute's silence ahead of the home match against Real Sociedad, in which the team will seek to go top of the table above another of his former teams, Barcelona. "I wish to express our sorrow at the loss of one of football's greatest men and one of the most charismatic and likeable managers we remember," Barca president Josep Maria Bartomeu said before his side's 3-2 defeat by Valencia -- its first at home in the league since April 2012. "As a club, we had the honor of his services, albeit for a very short time, in the 1987-88 season, when we won the Spanish Cup. 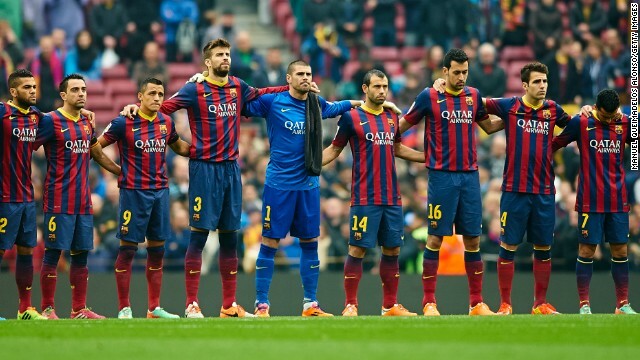 "We much appreciate his respect for Barca, its model and our players. Euro 2008, with Puyol, Xavi, Iniesta and so many others, is a great example." Aragones' appreciation of Barca's "tiki taka" style -- started by Johann Cruyff and developed by Pep Guardiola -- was borne out by the number of the players from the Catalan club he selected for the national team. But his heart lay in the nation's capital, where he was on the books of Atletico's big rival Real Madrid from 1958-60 as a player -- though he spent most of that time out on loan to other clubs. "The loss of Luis Aragones saddens all of us who love football," said Real president Florentino Perez. "Today is a day of mourning for this sport, but it should also be a day of recognition for a legendary figure who was vital in giving us a glorious period with our Spanish national team. "He ennobled this sport and all Spanish fans owe him gratitude and respect. His personal and professional career was always characterized by honesty and hard work." The only blot on his international career was an incident in 2004, when he was accused of making a racial comment -- which was caught on television cameras -- about France striker Thierry Henry while he was trying to motivate his players in training ahead of a World Cup qualifying match. 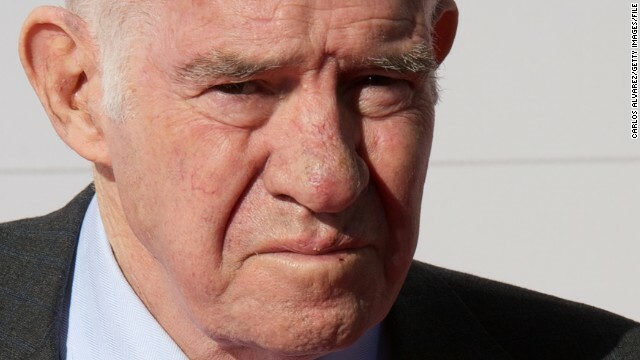 Aragones was fined by European football's ruling body UEFA and subsequently apologized to Henry, insisting he had not intended to make a racial insult.